Champion started the sports bra revolution over 40 years ago and has been supporting women ever since. 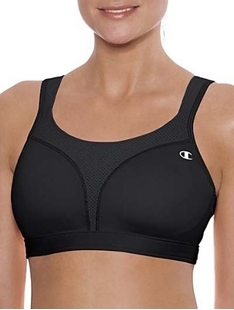 Champion’s sports bras are designed for performance and comfort. Champion Sports Bras gives you the support you need with their high impact sports bras. These sports bras are perfect for the gym, studio and cycling, or higher intensity workouts like running and cross-training. You'll find support for every workout.